to the PC, print them, attach them to e-mails, and so on. • No part of these operating instructions may be reproduced without permission. • Microsoft product screen shot(s) reprinted with permission from Microsoft Corporation. the operating instructions for the PC too. picture editing, and e-mail sending/receiving. is referred to as “Uninstall”. Refers to a document, picture, or other data. Refers to a place where a grouping of files are stored. “Click” refers to pressing and releasing the mouse button. Is Simple Viewer compatible with any PC? Using a USB connection, you can transfer the pictures held in the digital camera to the PC. With Simple Viewer, however, you can save them to the PC more easily. ¢1 You can acquire them if the PC has a PC card slot. ¢2 To learn how to acquire pictures, refer to P23. ¢3 You can acquire them if the PC has a PC card slot. SDHC Memory Card to the [LOCK] side when acquiring images from it. camera through a PC) before connecting the digital camera to the PC. • This installation is not required on the 2nd and later connections. • If any OS other than Windows 98/98SE is used, this installation is not required. • Before inserting the CD-ROM, close all running applications. The setup menu will start. • Installation of the USB driver starts. USB driver will be completed. Viewer] to read additional information. Components 2.8) may also be installed. operating instructions for the PC. • When Windows 98/98SE is used, install the USB driver (P6) before connection. transfer pictures to the PC by use of Simple Viewer. opens the screen to begin file transfer. If Windows 98 is used, refer to P23. • If you use the AC adapter, connect it. • Turn on the digital camera. depending on the digital camera used. instructions for the digital camera. icon of the LUMIX Simple Viewer on your desktop. take time to transfer them. saved in the following folder. destination folder, refer to P21. card] in step 2, no folders are displayed. when playing back moving pictures. are displayed in thumbnail view. appears on the top left of its thumbnail. view is displayed a little larger. until another picture is selected. Click this button to select the next picture. the same picture in all the folders. Click this button to exit Simple Viewer. [File Name] Name of the file on the PC. Displays the picture in its original size. pictures stored on the PC. Used to print one picture on one sheet. [List of pictures to be printed]. Set up the printer you are using. Set the size of paper used for printing. Set the type of paper used for printing. Set up the printer in detail. lower parts or the left and right parts. (e.g., 12/05/2007) at the top of the picture. depending on the OS you are using. Panel], and click [Internet Options]. file size before sending it. file size of the picture before sending it. the e-mail program starts automatically. • After specifying it, click [Next]. take time to add them. • Writing to the card is carried out. Panasonic digital camera can reproduce. some of the pictures are written. whether or not it is repeated. the digital camera is connected. pictures in the selected folder. What is a drag-and-drop operation? pressed, and releasing the mouse button. your PC using the USB connection cable. • If you use Mac OS 8.x or an earlier version, refer to P27. disk icon is displayed on the desktop. malfunction, uninstall and install them again (P6). even after the above checks. to other USB ports in turn. normal operation is not guaranteed. camera? Or, are there pictures on it? 3 If [Other Devices] is displayed, delete it. 6 Turn on the PC to start it. not added, repeat the above steps. from the internal memory of with the PC. Viewer] >> [LUMIX Simple Viewer]. No pictures can be printed. character color of the date. date printing are fixed. They cannot be changed. The top and bottom parts or Set [Trimming] to [No] when printing. aspect ratio is different from that of the printing paper. Set [Trimming] to [Yes] when printing. blank spaces are left in the top and bottom parts or the leftand right-end parts. The pictures have been imprinted with the date. Set [Date printing] to [No] when printing. The date is not printed. concerned may not be displayed. You can change folder names or file names on the PC. found at [Location] indicated in the picture information. and still pictures (JPEG format). automatically and the situation may be improved. Simple Viewer shortcut icon on the desktop. 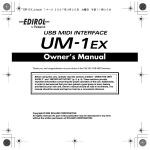 You can view the manual on your PC. some personal computers can not be used. • Operation on an upgraded OS is not guaranteed. • Operation on an OS other than the one pre-installed is not guaranteed. • Multi-boot environment is not supported. • Only available when the user is logged in as the system administrator. • This software may not run properly on user-built computers. • This software cannot be used on 64-bit OS.